In a perfect world, I would have gorgeously bronzed and blemish-free skin. But...I don't so thank goodness for my go-to makeup products! With the start of summer, I want my makeup to give me a clear complexion and make me "glow" all while looking natural and easy. I recently purchased a mini bottle of the Naked Skin beauty balm after hearing great reviews about it. I would compare it a BB cream because its has SPF, it works as a tinted moisturizer, gives your complexion a more even look, and it's super light. 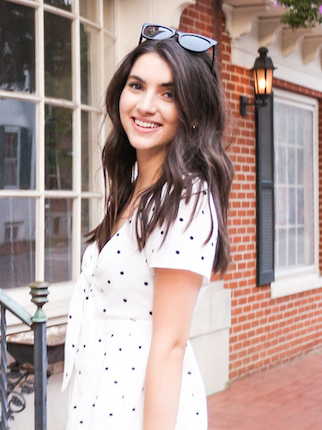 I love how it makes my skin glow without the gross/heavy feeling of foundation! After that, I use the Bare Mineral's "Stroke of Light" under eye brightener. It gives my eyes a brighter look and takes the tiredness under my eye. To cover up any blemishes, I use Bare Mineral's concealer. It definitely hides any redness on my face and lends to a clear looking face. The Bare Mineral's Matte Powder is what I use to finish off my look. I sometimes use this powder alone, meaning without the Naked Balm, if my face is overall clear. 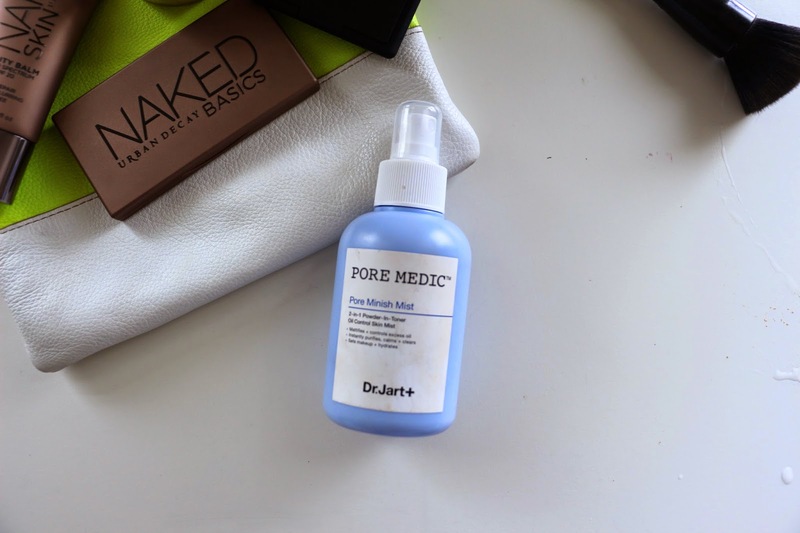 I recently added Dr. Jart's "Pore Minish Mist" to my makeup routine after talking to a salesperson at Sephora. After telling her that I wanted something to make my face appear less shiny she directed me toward this! I use it to mattify my face and stop any excessive oil. My new Nars blush adds a beautiful pink/tan color to my cheek and the Naked Palette brightens my eyes! All of these products, along with spending time in the sun, gives me a glowing complexion perfect for summer! 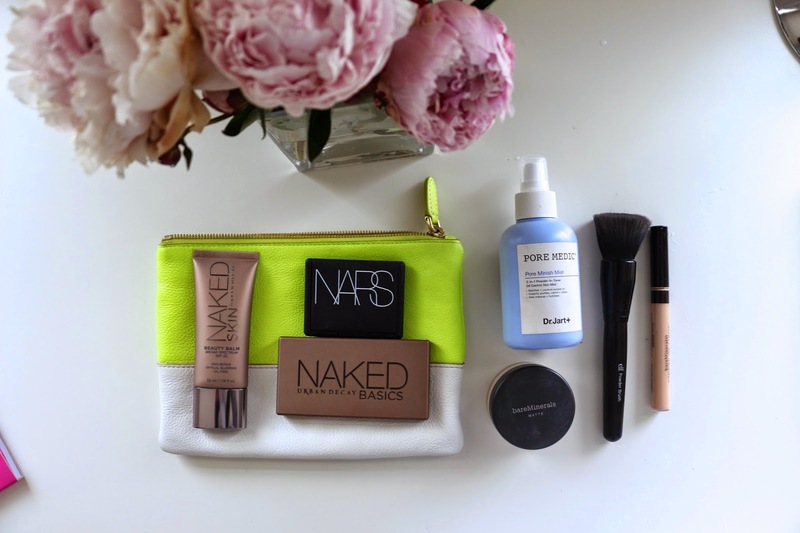 What are your summer makeup must haves?